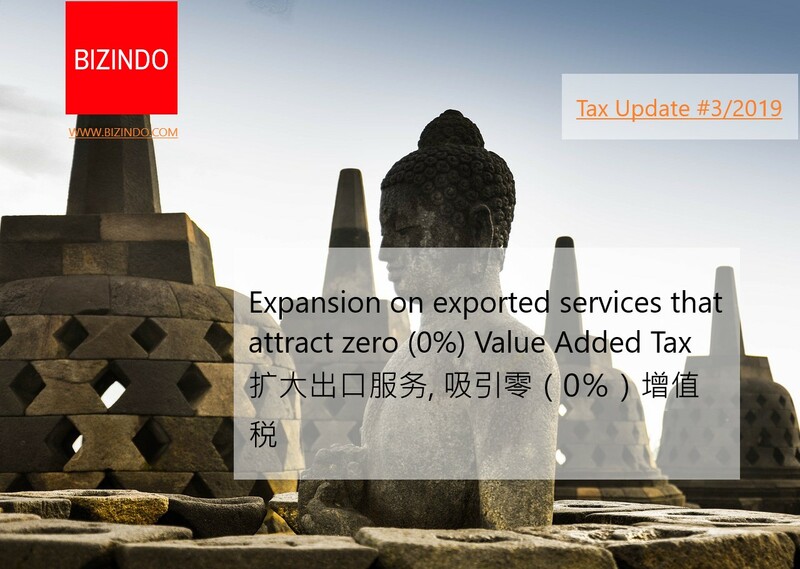 Indonesian law has, for a long time, provided that exported services may be zero-rated for Value Added Tax (VAT) purposes. However this zero-rating has been subject to Minister of Finance (MoF) stipulation. 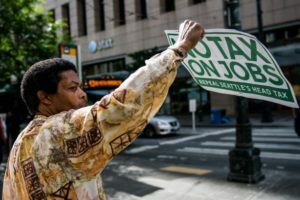 Until now the scope of the zero-rating had been quite limited, being largely restricted to toll manufacturing and certain construction activities. This limitation now looks likely to change. On 29 March 2019, the MoF issued Regulation No.32/PMK.010/2019 (PMK-32) concerning the VAT due on Exported Services. PMK-32 is applicable from that date. PMK-32 revokes MoF Regulation No.70/PMK.03/2010 (PMK-70) as amended by Regulation No.30/PMK.03/2011 (PMK-30). PMK-32’s stated goal is supporting the export of services and increasing the competitiveness of domestic service providers. PMK-32 defines an “export” as a service activity carried out within Indonesia’s Customs Area which results in goods, facilities, conveniences, or rights being available for utilisation outside of the Customs Area. In this sense, the zerorating now follows the more international concept of linking the VAT rate to the place of “consumption”. Apart from the zero-rated services, PMK-32 adopts a concept introduced in Director General of Tax Circular Letter No.SE-49/PJ/2011 (i.e. 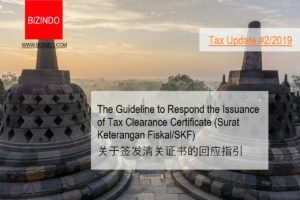 implementing regulation of PMK-70 juncto PMK-30) that service deliveries should not be subject to Indonesian VAT if the services are generated and utilised outside of the Customs Area. 2. Services connected to immovable goods located outside of the Customs Area in the form of consultation services for construction. b. the provision of access outside of the Customs Area. 2. supported by a proof of payment from the overseas counter-party to the PKP. If these requirements are not satisfied then the services will be treated as being delivered within the Customs Area and therefore subject to regular VAT at the rate of 10%. 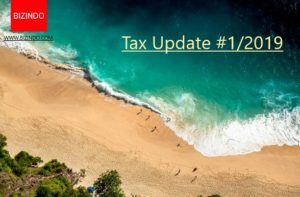 The taxable event remains the same as with the previous regulations: it is incurred when the compensation is recognised as a receivable or income. There is also no change in the compliance mechanism. This means that a PKP should still prepare a specific VAT Invoice, (i.e. Export Declaration of Services or Pemberitahuan Ekspor Jasa Kena Pajak/ PEJKP) along with a sales invoice. In the case of taxable goods resulting from toll manufacturing services the PKP should also prepare an Export Declaration of Goods based on the existingCustoms regulations. toll manufacturing (where applicable), should be creditable to the PKP. investors looking to use Indonesia as a regional office.